Episode 59 Of The Rebel Radio Podcast Now Playing! 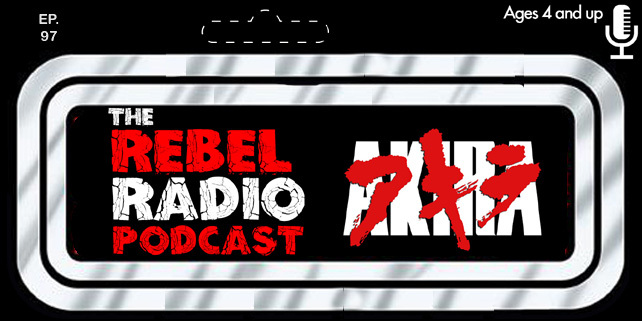 Mark & Matt are in studio bringing you a new episode of Rebel Radio! We dive right into the newest trailers as we discuss Guardians Of The Galaxy Vol. 2, Power/Rangers, Logan, and Rogue One: A Star Wars Story. There is also trailer to discuss for John Wick Chapter 2 and War For The Planet Of The Apes! It's new trailer mania as we break each one down and share our thoughts! We also talk trash about the Ghostbusters reboot which is now on home video and tell you exactly why the movie sucked! Not to mention where is Frank T. Biscuit this episode? That's two in a row he missed as we talk about his secret life moonlighting as a Bronie! After all that trailer talk we get dark as we dive into the 7th season premiere of The Walking Dead and talk about the gruesome brutality that was the new season's first episode! We dive directly into spoilers as we talk about what Negan means to the show, the journey of these characters and where do we go from here after the game changing season premiere! Take the journey with us as the show gets darker than ever before!